As the universe of Once Upon a Time continues to grow and include many iconic fantasy characters, the casting choices for representing those characters have been extremely unique. Part of the show’s charm is its ability to explore very unique representations of these legendary figures. 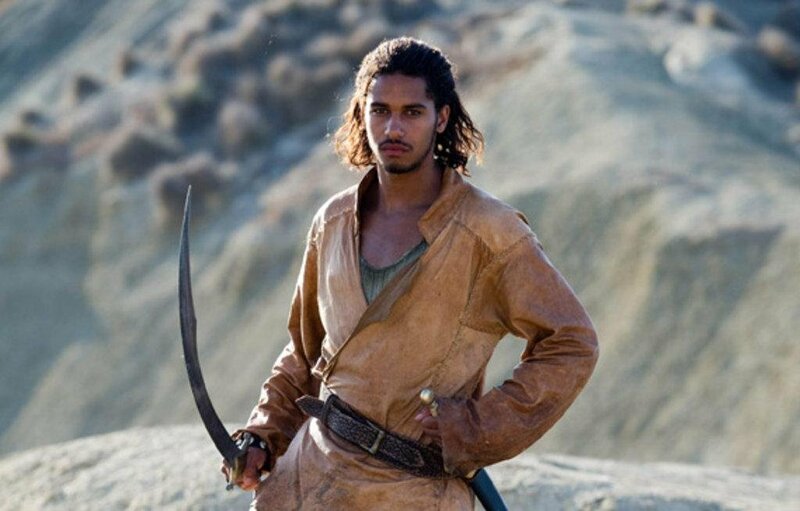 One such choice placed Elliot Knight, a young British mixed-race actor who made his name in the short-lived reimagining of Sinbad in the role of Merlin, arguably the most powerful wizard in fantasy. Rather than play him as a grizzled, ‘wise man’ character, Knight brought his own interesting flair to the character, which he explains as CGM had a chance to sit down with Elliot and discuss how he got started in acting and what elements he brought to the legendary magician. CGMagazine: I guess my first question is, how did you get started, how did you become an actor? Elliot: Oh my god, wow. We’re going right back. Or I guess not right back; I’ve only been doing this for four years. Whenever people ask me this question, I always think about it and I just remember my mom saying that she always knew that I was going to be in the arts in some way because I would never sit still; I would always be dancing around or making up plays in the living room and forcing her to watch them. I’d do that with my dad and my nan as well; I’d write plays and my dad would come home from work and then I’d put on this play and me and my nan would be all the characters. We’d run out of script and I’d just improvise and I’d tell my nan to walk on and do something. So I guess it’s just something that’s always appealed to me. I’ve always been a creative soul and it’s one of the best outlets. It’s when I feel most happy. Not even as an actor, just being engaged in that side of myself has been ever-present to me. Then in terms of acting, more technically, I did drama in school. Every two weeks we’d have drama instead of English in school, and then I wanted to study it further, so I went to drama school and I was there for three years. Just before the end of my third year, I had an audition for the show Sinbad and was just so happy to have an audition for such a huge thing. Like, I would’ve happily spent the next ten years working towards doing a role like this. And then I got it out of nowhere and I was like, “what is happening?” It happened so quickly; my transition to being an actor-in-training, to being a professional working actor. It happened in the space of a week. CGMagazine: As you were aspiring to become an actor, who were and who are some of your biggest influences? Elliot: Well that’s an interesting question, and I have a not too obvious answer. A large reason of why I wanted to be an actor was because I didn’t have a role model, per se, as I was growing up. I didn’t see someone who I fit into the same box as who was successful and being celebrated in their field for acting. I saw a lot of other people who were great and were doing so well, but I didn’t feel like any of them were like me. Especially as a young mixed-race boy growing up, I didn’t have anyone I looked up to. Not in acting, anyway. But that became my inspiration. I was like, “well look, so many people around me have these role models with careers they’re trying to work towards. If I don’t feel like I have one, imagine other people who feel like me. The ultimate goal for me would be if I could be an inspiration to someone else; to be an actor like I was looking for when I was a kid, then I’d be super happy. CGMagazine: Now, admittedly, I looked everywhere for Sinbad. You know, I wanted to do my research for this interview, but was unable to find it. So tell me a little bit about that role. Were you a fan of Sinbad as a kid? Were there certain elements of Sinbad that you wanted to change or bring to your performance? 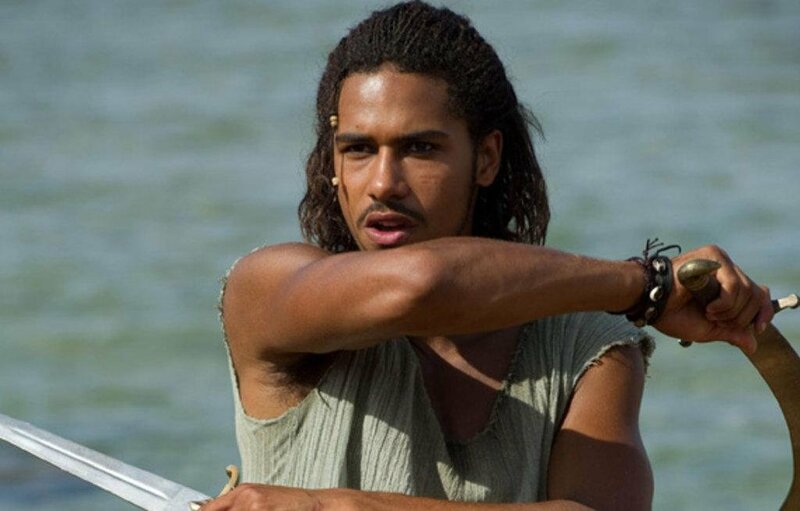 Elliot: Sinbad was definitely a character I was aware of growing up. He’s legendary, you know? How can you not be aware of the Adventures on the Seven Seas and all those things? In my research while I started doing the role, I found out that it was part of the Arabian Nights stories, and Sinbad was actually this older guy who’d lived his life and he had this huge house and all these riches, and this other guy sees it and he’s amazed by it and he asks, “well how did you get all this?” And the actual Sinbad story, which is actually really short, it’s only like two or three pages, is Sinbad recounting his tales. So what I found interesting about that was, it’s obviously very adventurous and exciting, but there was very little connection to it in terms of a human narrative. It was more like, here’s a short adventure story, enjoy. So what was really cool with what they wanted to do with the version that I was lucky enough to be in, was go back to his roots and start there, and see him as a super young… boy, basically. Which I thought was interesting. In most versions that I’ve seen, he’s always like a young man, but he’s grown-up, and he’s ‘seen things,’ and he’s sort-of battle-hardened. Whereas, what was fun with this Sinbad, he wasn’t battle hardened. He’s street hardened, he’s definitely not had it easy, but in terms of the bigger picture and the stakes that he comes to face, he has no idea what’s in store for him. And I think he has a weird, contrasting journey of realizing he’s a lot weaker than he thought he was before he becomes a lot stronger and realizes his true potential. So you can imagine when I was doing it, I was like a kid in a candy shop. That job and that year will always have a very special place in my heart because it was my introduction into this whole world, and I felt like it was a big moment in my life; launching me from being this young boy to starting to grow up and be a young man. I had to step up and take responsibility and I learned so much about my craft, and I loved it. But the show was just wonderful, I would’ve loved to have done more if it would’ve worked out. Elliot: They didn’t tell me that they wanted something specific, but I believe that what won me the role in the end was that I wasn’t approaching this with a heavy head and a heavy heart, and thinking “everything depends on this.” I had four auditions, and on every audition (apart from the second one, I thought I really blew it on the second one), I went in thinking, “I’m just really happy to be here, I don’t need to go any further than this.” And I think that allowed me to be free and have fun with it and just enjoy it. And that’s really the spirit of Sinbad and our telling of his adventures. He’s a young guy who’s full of life and he’s fearless, you know? So I think the less I thought about what I was doing the better. There were definitely moments during it when, after learning more of the technical side of working and filming, I would become more technically aware of myself, like how I physically hold myself, my voice, my resonance and all these different things, and although [the show] was arguably better when I was being more aware, but the really exciting moments for me, and I think in the show, was when I wasn’t thinking about it. I wasn’t overthinking stuff, it was just intuition. Because I’m a very intuitive actor, I don’t like to overthink things, or overlearn things. I like to be dropped into the mix and go for it and see what happens. So, I think that element of myself is definitely something that helped my portrayal of the character. CGMagazine: So, what was it like going from a role like Sinbad to playing Merlin on Once Upon a Time? Elliot: It’s brilliant because there’s so many similarities in terms of world that they’re from and the genres that they represent. But also, they’re so different. CGMagazine: Did you do any research into Arthurian legend, because there are a lot of different representations of Merlin throughout the different works, so did you research them and say, “well maybe I’ll see what they’re about?” Or was it the same thing with Sinbad where you were going to go in, be yourself, and let that reflect on the character? Elliot: I’d say it was more the second option. Look, here’s the thing. Frankly, I’m not like any other imagining of Merlin that’s been on TV or film before. I’m completely different from that kind of character; the look, the age, all of that was different. So for me, there was really no point in trying to see what all these other people have done that is so different to me. If there was ever any time to just create something, rather than recreate something, it was now. Because the guys have recreated this interpretation of this wonderful, magical, famous being. And I applaud them; they’ve been brave and open-minded about their casting of this. I think it’s a wonderful thing. I touched based on where I came from, with my understanding of the character, which was The Sword in the Stone TV movie from 1998 that I watched about 25 times when I was a kid starring Sam Neill. Because they were so contrasting in the versions of the stories they told, obviously the Disney Sword in the Stone is lighter, it’s full of fun and magic and it’s really enjoyable. [Merlin] is like a comedian, I laughed so much when I was watching it; it surprised me how funny he was. And then the Sam Neill version, it’s just as enjoyable, but from a completely different perspective. It’s steeped in myths and legend, and war, and human desire, and human downfalls, and emotions. There’s so much, it’s so much heavier and more intense. So for me, I already had such great sources of inspiration to mix together to create this really interesting being. And of course, being aware of Once Upon a Time and taking all these things and seeing how they would fit best into the context of the show. CGMagazine: What were some of the challenges you faced playing a character like Merlin? Elliot: I mean, I never really beware of feeling like I have a challenge with something, in the sense that there’s no explanation. I’m trying to satisfy, you know? I mean, it’s definitely not like everything’s easy, but because it’s just so enjoyable to do this, like I said to create, rather than recreate, I just had a lot of fun with him. 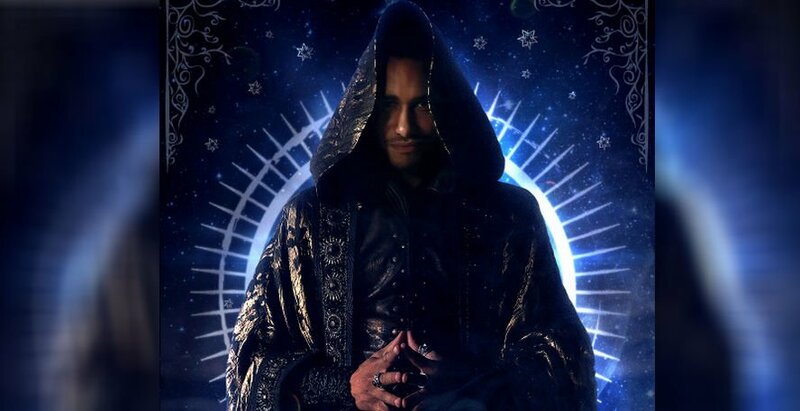 I think definitely there are elements to him in this version that I can’t just take from myself or something I relate to because he has like, hundreds of years of wisdom and being the most powerful person in all of the realms. While I don’t have any experience with that, obviously it almost makes it even nicer having the challenge to try and create a character who is like that, but from the perspective of someone who isn’t. I think it just makes it so much more interesting. So, instead of him just being like a stoic, unnerving character, that wasn’t the kind of Merlin I wanted to create. They’re not the kind of characters I find fascinating. I prefer characters who have an emotional connection that grounds them. Whatever their drive is, I like when that is present with them all the time, in different capacities and different strengths; but that’s a piece of their heart, that’s a piece of them that’s always moving them forward. So I really just try to focus on that, rather than making him a certain way. CGMagazine: I guess to wrap up; do you have any future projects coming up; anything you can talk about? Elliot: There’s a movie coming out next year, called Takedown, that I shot last year in Wales with Ed Westwick, Phoebe Tonkin, Dominic Sherwood, Jeremy Sumpter—he was the lead in it—and that was really fun. It was sort of like a rich kid bad camp gone wrong, and their fight for survival. I’m really looking forward to that coming out.